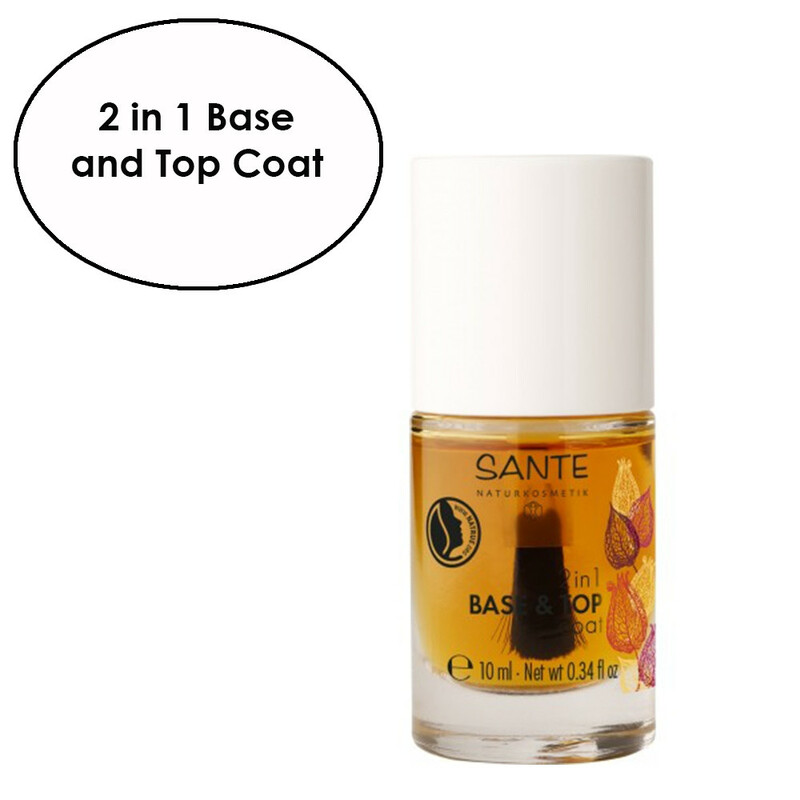 This quickly drying versatile Sante 2in1 Base&Top coat with organic physalis and star fruit extracts plus natural shellac protects the nails from discoloration when used as a base coat. Helps strengthen brittle and soft nails. Provides a matte finish when used as a top coat. How to use: Carefully apply to nails using the brush and leave to dry.